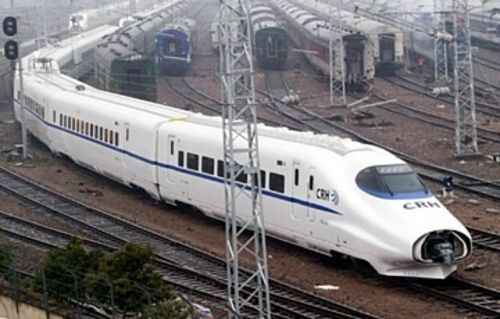 China's railway reforms - thus far and no further? None of the reforms announced at this year's National People's Congress session were as bold as the sweeping railway reform. Any proposal that abolishes an entire ministry – the Ministry of Railways – is bound to make quite a splash. Despite the reform's vast scope, the proposal to abolish the Ministry of Railways is nothing like as radical as some of the ideas that dominate the West. China's railways will remain under the control of the state, and any financial or administrational risk will remain under the regulation of the central authority. Private financial investment into the new railway management authority will be a welcome addition, and will reduce public expenditures on building and maintaining the country's railways. However, private finance will create previously unknown demands for increased profit. As we know from the Western experience, this will sometimes be difficult to reconcile with railways providing a public good. China's transportation authorities have until now provided admirable service to the Chinese public, and the growth rate of the national infrastructure is a wonder of the modern world. Highways now traverse the country's vast interior, where only 20 years before there was nothing but countryside. Tier-1 cities like Beijing continuously expand their ring-road networks, but are still unable to keep up with the growth of traffic. Transportation links between major cities are becoming incredibly quick. I was flabbergasted to read that the new Beijing-Guangzhou high-speed railway takes only eight hours; I remember all too well the 42 hours that the same journey took me in 1988, and how by journey's end the onboard restrooms were indescribable. But a majority of these improvements to the national transportation infrastructure have relied heavily on borrowed money, and China must service this vast level of debt. Therefore China is looking towards attracting private investments and reducing the financial burden such improvements place on the government. The government's new proposals appear to strike a reasonable balance between new financing options and the need to retain control of the country's infrastructure. However, if the current reforms are successful, pressure will undoubtedly grow to increase the role of private financing. Western examples are not encouraging in such circumstances. The West has essentially two models: the European model and the American model. The U.S. was the original pioneer of privatization, and focused on building America's transportation network around highways and roads. Railways are limited primarily to cities on the eastern coastline where roadway congestion usually makes railways more attractive for profit-hungry enterprises. China, like in the U.S., has a large territory and similar population density; but China lacks universal car ownership. China cannot yet allow its railways to wither or let transportation fares be determined by the market, and the government has no intention of letting it do so. The European model tends to be more or less a harmonious collaboration between state and private operators. In Germany and France, there is heavy state input to ensure the viability of the network, which is what China is trying to reduce. In Britain, where the government has concentrated heavily on outsourcing to private contractors, the results have been particularly unpleasant; the essence of the problem is that, though operations and costs can indeed be outsourced, it is not in fact possible to transfer risk and responsibility to the extent that the government would wish (a fact that the Chinese government has acknowledged by retaining overall control). One of the biggest problems we have in Britain is that private companies often live off government contracts, knowing that a majority of the commercial risk still lies with the government. The Chinese railway reforms as they stand provide important safeguards against such parasitic behavior. It is vital that these safeguards are not whittled away by private financial interests. If China's railways are going to jump into the sea (xia hai, in the Deng Xiaoping era phrase) they must also look out for sharks. None of the reforms announced at this year's National People's Congress session were as bold as the sweeping railway reform.